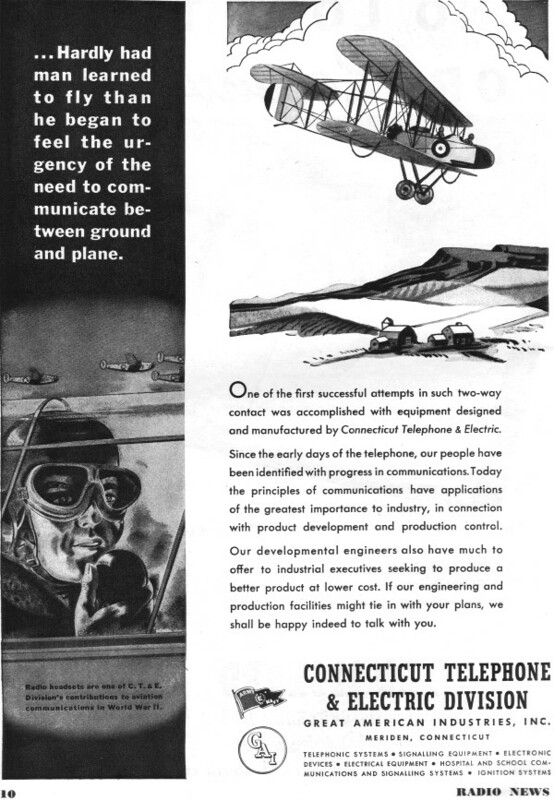 This ad for Connecticut Telephone & Electric Division appeared in the January 1945 edition of Radio News. Detrola, as the name suggests, the company was located in Detroit, Michigan. Believe it or not, there are people who pay for vintage advertisements like these. eBay is chock full of auctions for original pages from the old magazines that contain ads for products and services. Often, if you know where to look, you can buy the entire magazine in which a particular ad appeared for only a little more. People sometimes frame them and either hang them for decoration or present them to a parent or grandparent as a memorial to their lives. Stranger things are done. ... Hardly had man learned to fly than he began to feel the urgency of the need to communicate between ground and plane. 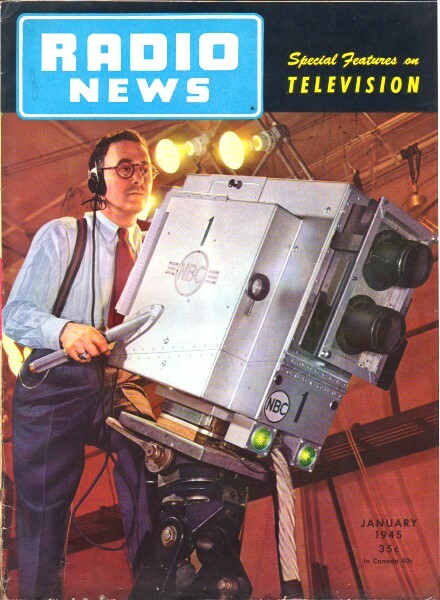 Radio headsets are one of C. T. & E. Division's contributions to aviation communications in World War II. 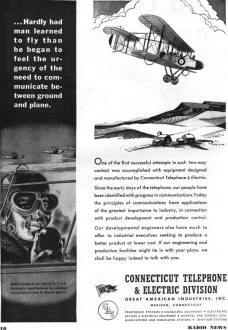 One of the first successful attempts in such two-way contact was accomplished with equipment designed and manufactured by Connecticut Telephone & Electric. Since the early days of the telephone, our people have been identified with progress in communications. Today the principles of communications have applications of the greatest importance to industry, in connection with product development and production control. Our developmental engineers also have much to offer to industrial executives seeking to produce a better product at lower cost. If our engineering and production facilities might tie in with your plans, we shall be happy indeed to talk with you.